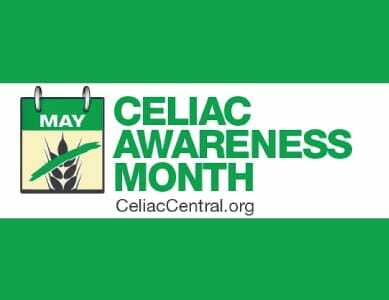 Celiac Awareness Month – May 2015. The National Foundation for Celiac Awareness promotes widespread understanding of a serious genetic autoimmune celiac disease. They work to secure early diagnosis and effective treatment and management. Celiac Awareness month is to inform ,empower and support the community living with celiac disease. The NFCA inspires people affected by this condition to live life to the fullest, while they forge pathways to find a cure. I found your gluten free wraps on vacation. I had not found them before unfortunately. Now I am on a quest to get my supermarkets to carry your gluten free line. It was wonderful having a great tasting product for a change. Thank you for thinking of us on the whole spectrum.